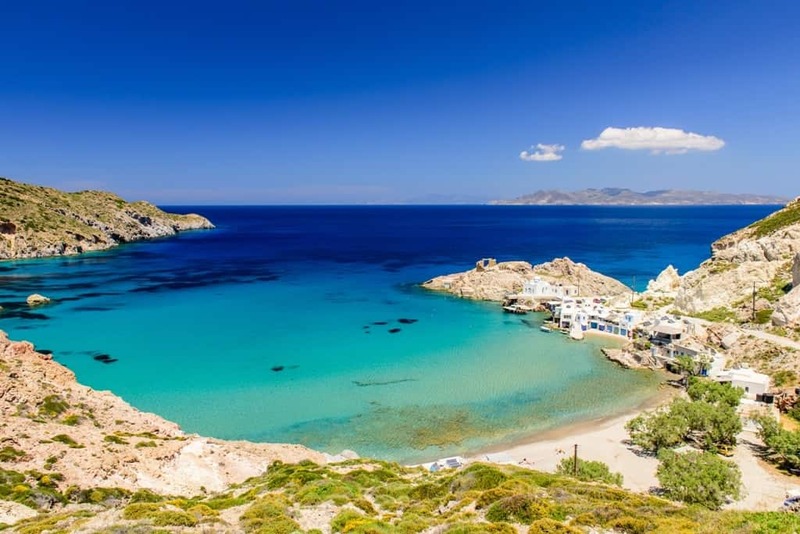 The small Greek island of Milos is just over 150 km², but it’s big on natural beauty, picturesque villages and relaxing atmospheres. 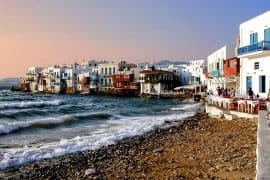 The island sits in the southwestern part of the Cyclades region and the landscape intrigues visitors who visit the island every year. 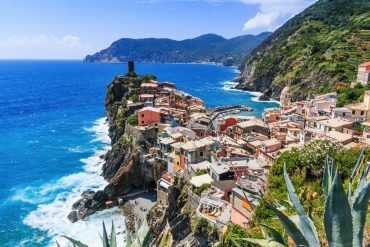 The very distinctive coastline is magnificent, with rugged cliffs of every colour and rock formations, created by volcanic activity from as far back as 90,000 BC. Also along the coastline you’ll find over 70 beaches, each one unique in its own way, where you’ll find adventure, tranquility or both. 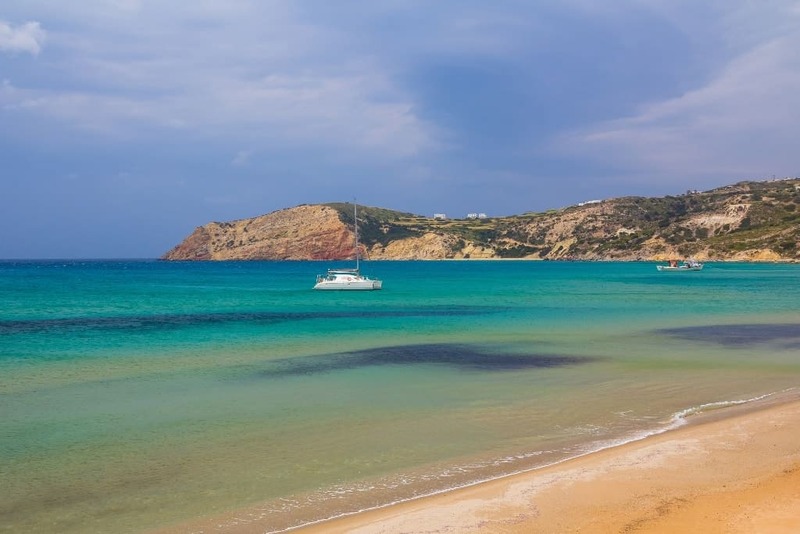 14km from Plaka is the beautiful sandy beach of Tsigrado. It’s a small beach, in the south of the island, but the huge cliffs and amazing water more than make up for its size. Access is by a path, carved out through the cliff, with a rope and ladder to aid the descent, so it’s not really suitable for children. It’s a non-organised beach, but it’s secluded and good for swimming and natural beauty. On the south coast, this narrow, sandy and pebbly beach is partly organised with umbrellas, sunbeds and a beach bar. 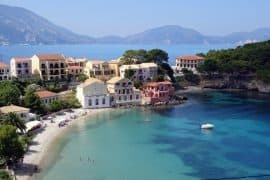 A favourite among visitors, Firiplaka has stunning volcanic cliffs painted in yellows, pinks and whites, providing a unique backdrop to the shallow green-blue water. There is a car park at the top of the cliffs, so make sure you take in the amazing view before you descend onto the shore. 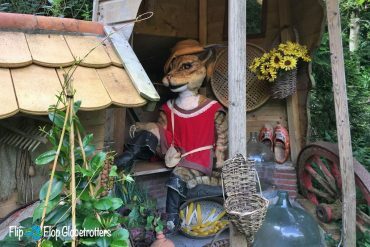 It’s good for families to spend the day there, although there are parts which are popular with naturists. Provatas beach is 13 km from Plaka, and the best way to get there is by car. 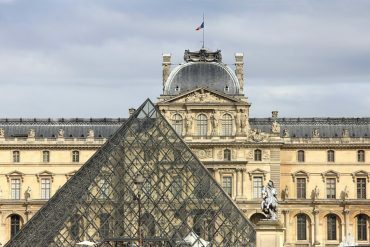 It’s organised with sunbeds, umbrellas and there are restaurants and coffee shops, but it can get crowded, so it’s best to arrive before 11.00a.m. It’s a great beach for swimming in the clear water, or relaxing on the sand surrounded by impressive multi-coloured cliffs. It’s family friendly, but it can get windy. 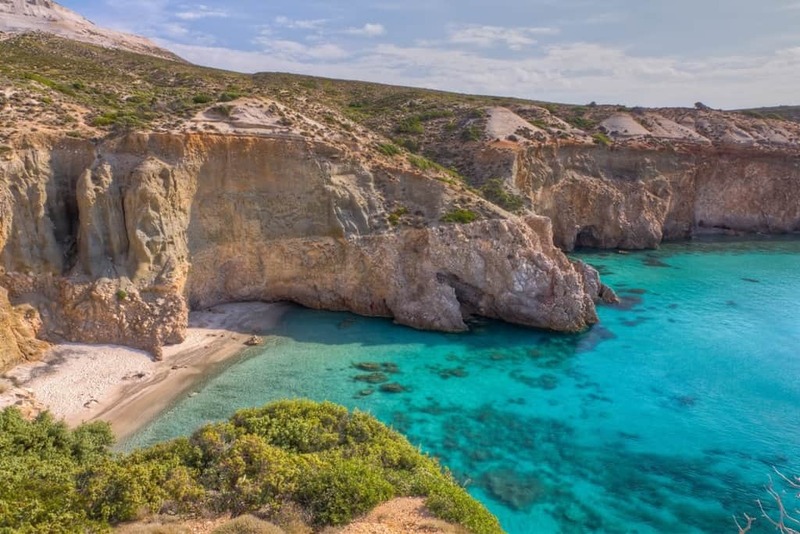 Located in the north of the island, Sarakiniko is probably the most photographed place on Milos Island, due to the unique volcanic rocks, eroded by wind and sea to form huge smooth bone-white boulders. It’s a small bay with gorgeous turquoise water, deep enough for thrillseekers to attempt cliff jumping, but other parts are shallow making it suitable for children. Access is by car, and then a footpath down to the beach. It’s not organised and can get busy, but if you swim or walk around the bay you’ll be able to find you’re own little secluded spot. 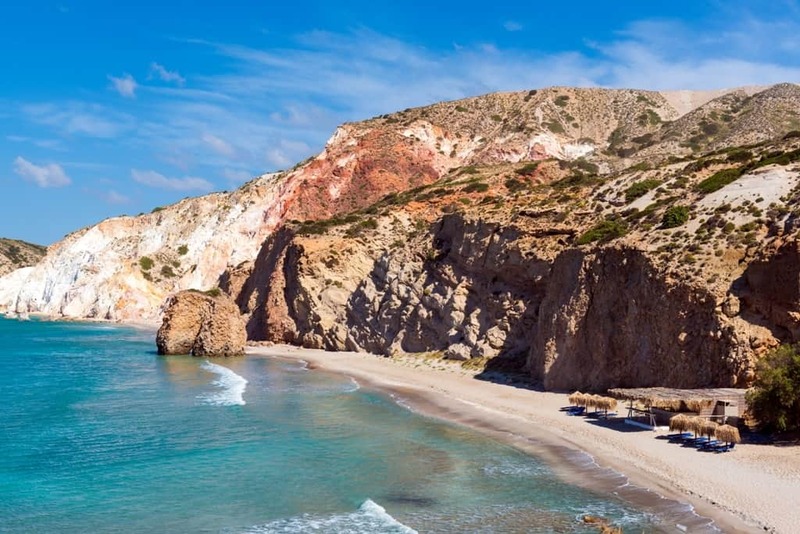 10 km east of Plaka, Papafragas feels like your own private swimming pool, with a tiny sand beach enveloped with tall rocky walls, with a natural sea arch as the only access out to sea. The water is crystal clear, and a dazzling turquoise colour, and there are opportunities to swim through the holes in the rocks and sea caves. It’s a stunning part of the island which is unspoilt with impressive views from the top of the cliffs, looking out the sea. There are no facilities, and the path down to the cove is steep, so it’s not suitable for small children. 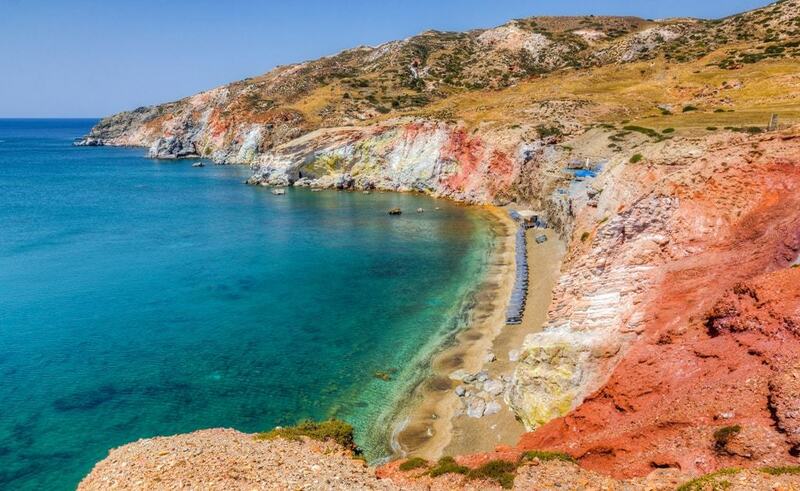 The remarkable white cliffs can be see all across Milos Island, and Kleftiko beach will not disappoint. Secluded and tranquil, boat tours make daily excursions, from Adamas, for scuba diving or snorkelling around the emerald waters of this glorious bay. 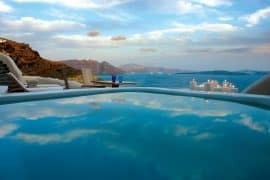 It’s not really a beach for relaxing, more to take in the breathtaking natural beauty, with swimming in sea caves, arches, and some of the clearest water you’ll find anywhere in Greece. It’s not organised, but the white stone cliffs rising up out of the blue ocean will blow your mind. 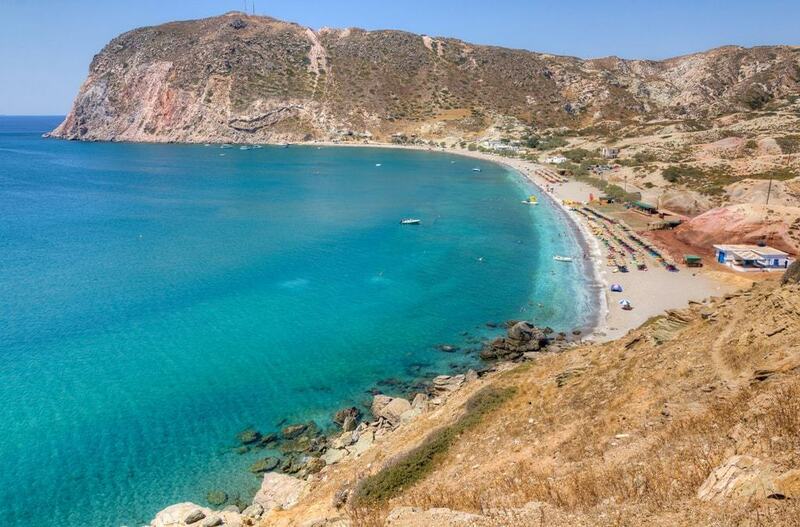 Located in the bay area is Achivadolimni beach, the longest sandy beach on Milos. Not organised, but it’s family friendly and the shallow waters make it suitable for swimming and sunbathing, with trees to provide shade from the midday sun. 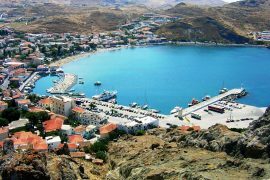 There are splendid views of Milos’s highest mountain, Profitis Ilias, and you can take to the trails and go in search of the only lake on the island. This is one of the only beaches where it is possible to windsurf or kitesurf. Firopotamos beach is in the north of the island surrounded by the town of Firopotamos, a charming town of blue and white fisherman’s houses. Access is by foot or car onto the small-pebbled beach which is family friendly. It’s not organised and there are no facilities or restaurants, so if you plan a day here you’ll need to take your own food and water. It’s a wonderful beach for sunbathing and swimming in the emerald water. One of the most popular beaches is Paleochori, 10 km from Adamas and easily reached by bus or car. There’s a sandy beach with interesting pebbles, sunbeds, cafes, restaurants and a variety of watersports available. The beach is long and wide, so even at the busiest times you’ll be able to find your own little spot to relax. The sea is azure blue and there are hot spots from the thermal water, making swimming a pleasant experience. It’s family friendly, but there is a nudist area at one end. Agia Kyriaki is in the south of the island, 14km from Plaka. 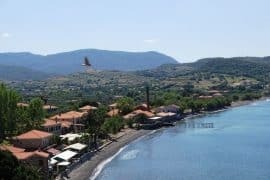 The beach is made of sand and fine pebbles and there is a beach bar and a restaurant that prepare some fine Greek cuisine. The high, rugged cliffs that provide the scenery give this beach a feeling of seclusion. And along with the emerald, clear water it truly is an amazing landscape. There are sunbeds and umbrellas and trees for shade and it’s easily reached by car. It’s a good beach for families and there are also private coves with attract naturists. 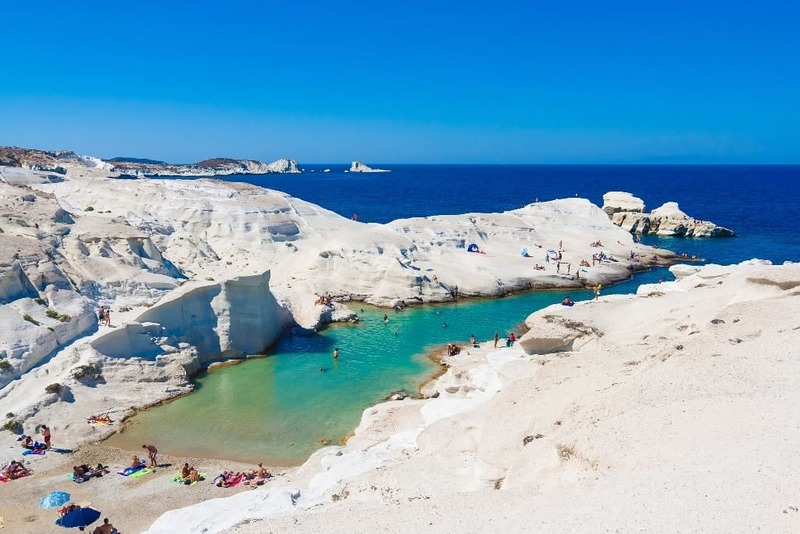 You might be interested in: Where to stay in Milos. 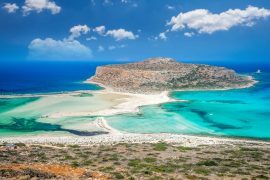 On an island as small as Milos, it won’t be hard to find a beach that perfect for what you’re looking for. Whether that’s swimming, exploring or simply relaxing. 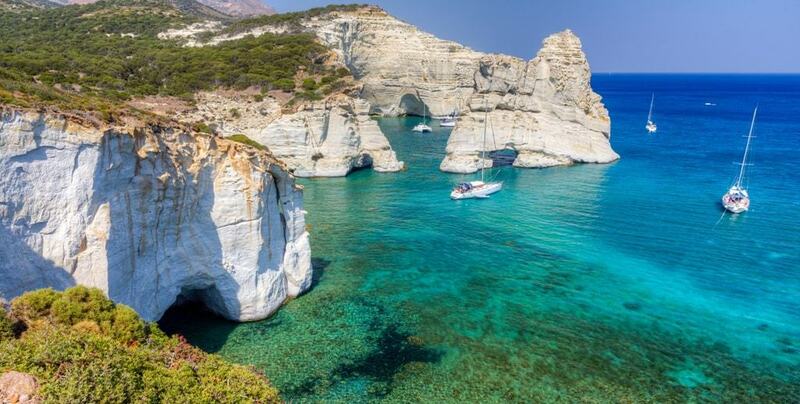 Milos has some of the best beaches in Greece. 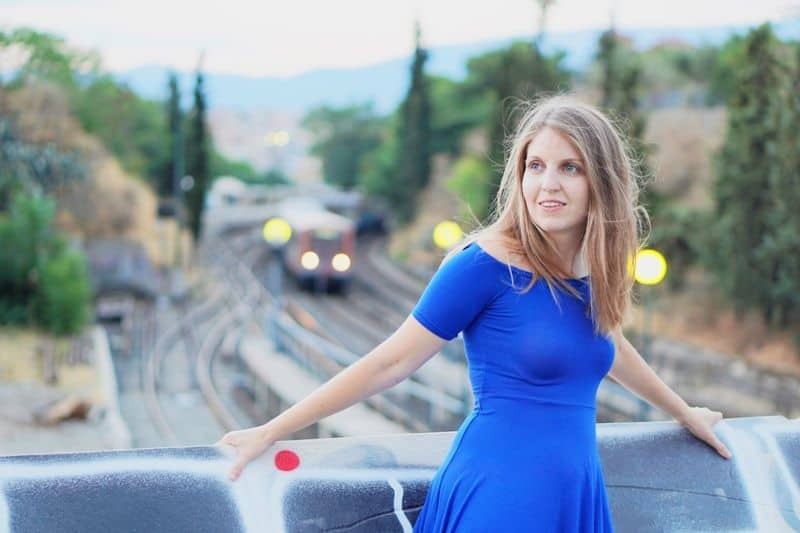 I am a solo lady who would like to explore Athens, Santorini and perhaps another reachable island that it allows for swimming (i.e. 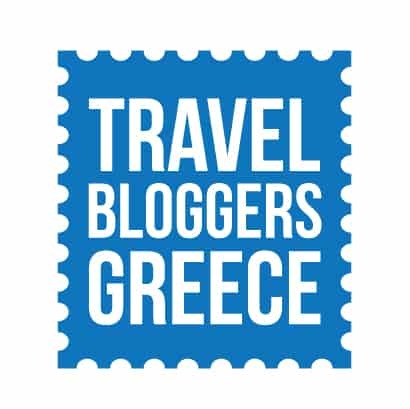 nota windy island) I would be arriving on Sept 8 2;20 am and I would love to rest that day, perhaps do Athens 2 nights and then escape to Santorini, to the rest to sailing and snorkle to the caves, swim, enjoy taverns. Is Milos a good choice? what town should I stay, Adams or Pollonia? If Milos is too cold, what other islands near Santorini do you think are also nice to relax, see history, ? I need to be back in Athens Sept 16. so that makes a fully 7 day trip Thanks in advance !! I am overwhelmed with so many islands! Hello Vivi, thanks for your comment. Milos is a great choice for beaches and it is still hot in September. Regarding the wind depends where it blows if it blows you choose a different beach. 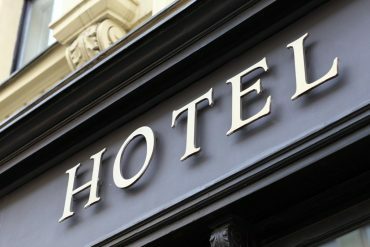 Regarding your stay, Pollonia is a bit quieter than Adamandas and has a better beach, Adamandas has more options in restaurants and bars. Whatever you decide, I highly recommend that you rent a car and also do a boat tour around the island. Also, Milos has amazing food and probably some of the best beaches in Greece.